Daryl Johnson (Worcester Park, United Kingdom) on 12 July 2010 in Architecture and Portfolio. 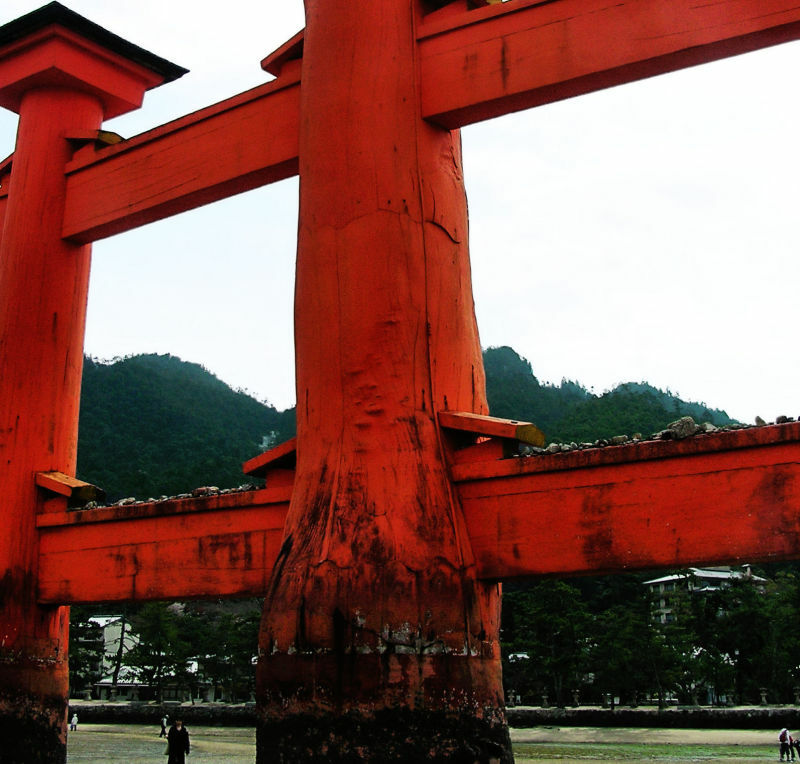 It's good luck if you can throw a stone and land it on the beam of a torii. wow . . this really drives home the scale of the structure . . . I was going to ask about the stones - thanks for the explanation ! The red colour here really captures attention, people for scale show how huge this really is. Also keen to learn how old it is. Thanks and well done! That's really a magnifient architecture! Lots of good luck there! That really makes a statement, they're just like huge frames, solid colour too.